Cebu Pacific (PSE:CEB) is the largest low-cost airline in the Philippines. It pioneered the “low fare, great value” strategy in the local aviation industry by offering reliable scheduled air travel services to passengers who are willing to forego the extras for fares. Since 1996, the airline has flown more than 140 million passengers across 37 domestic and 29 international destinations, spanning Asia, Australia, U.S. and the Middle East. Cebu Pacific’s vision is to be the most successful low-cost carrier in the world with a commitment to excellence and innovation in everything they do. With 60 to 80 percent of its passengers booking tickets online, CEB needed a fast, secure and reliable online booking experience while keeping up with increased traffic as the business grows globally. “Since the vast majority of our customers book their tickets online, any problem with accessibility of our booking site would affect customer experience. CEB aims to provide an innovative service and high-quality travel experience to our passengers. Hence, we are continuously looking for ways to increase our website performance, and we can achieve this by partnering with Limelight Networks,” said Atty. 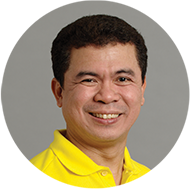 JR Mantaring, Vice President for Corporate Affairs of Cebu Pacific. Limelight’s CDN is improving the average web response time in East Asia by 44 percent and global delivery performance by 61 percent. Online booking is faster and more reliable, which significantly reduced customer complaints. Customers can easily book and manage flights on the go, on any device. As CEB broadens its offerings to more markets, Limelight’s CDN allows it to seamlessly grow website traffic on a global scale.